We at ADA Extended Home Care have compiled a list of common questions to help you make informed choices about your home care needs. 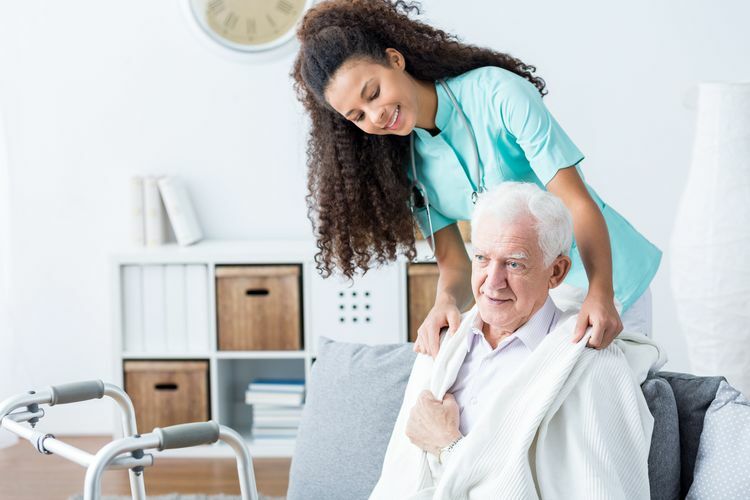 What makes ADA Extended Home Care your best choice for home care in Toronto? In addition to our traditional home health care service offerings, our caregivers are trained to provide other complementary services, such as music therapy, Passive range motion Exercise, art appreciation, that enrich the lives of your loved ones. Our level of care cannot be matched by other home care agencies in Toronto. You or your loved one is one phone call away from a Registered Health Care Professional to deal with any medical question that might arise would answer to all arise with immediate advice/care or referral to a doctor if it is necessary. Who is a candidate for in-home care services? ADA Extended Home Care provides services to people of all ages (children, adults, seniors) physical conditions and cognitive levels, who need assistance with daily activities and want to gain a measure of independence by staying in their homes. Are caregiver services also available in nursing homes or long term care facilities? Yes, we are happy to provide services wherever you call home. This includes caregiver services in your home, a hospital, a long term home care facility or any other place where you and your loved one reside. Unfortunately, there is often not enough staffing in long term care facilities to provide the full care your loved one requires. At ADA, we are happy to provide extra assistance that your loved one may need. Our experienced caregivers can provide dementia care, companionship, respite care, convalescence care. What are the advantages of in home care? We provide professional in-home care services in Toronto, North York, East York, Davenport, Parkdale, High Park, Eglinton-Lawrence, Rosedale, Annex, Etobicoke, Don Valley, Beaches, Scarborough, Richmond Hill, Markham, Mississauga, Brampton in Greater Toronto Area. How quickly can I arrange for service? We can arrange for a caregiver within 24 hours. We provide a wide range of personal in-home care services, Alzheimer’s and dementia care services, and respite care services. Please visit our Services page for more information. Are your home care services covered through OHIP or insurance? No. But you might be qualified for a disability tax credit. To qualify, you need to submit T2201 form, the Disability Tax Credit Certificate, and have the CRA approve your application before you file your income tax. ADA Extended Home Care provides professional, quality in-home care at competitive and affordable rates. Because clients have different needs, we give exact costs after an assessment is completed. Costs depend on the medical condition of your loved one and the level of care required (companionship, assistance with personal hygiene, feeding, assistance with walking, assistance, helping bedridden client) as well as the level of caregiver experience required (e.g. housekeeping versus post stroke care). When we decide the cost of care services we also take into consideration how frequently you need help (twice per week vs. every day). Our services start at around $28.00/ hr. What are my payment options for home care services? You will receive an invoice for our services by email weekly. Payment is due upon receipt. You can paid weekly by an etransfer or check in the mail. How our caregivers are screened and how we match them with our clients? We at Ada Extended home care know that personality is essential when we match our caregivers with you or with your loved one. Someone can have all the credentials and experience in the world and simply not have the right personality. We also make sure during the matching process that there is common ground (ideally the same language) between the caregiver and you or your loved one. At ADA we follow up after the first shift with a caregiver and after the first week, to make sure you are pleased with your caregiver. We will gladly find another caregiver if you request it. Is there a minimum commitment of hours in order to be eligible for in home care? Yes, out of consideration to our caregivers, we require a minimum of four hours per visit. There is an option that visit can be shorter than 4 hrs if you find someone else, perhaps a neighbor, who can receive the service on the same day. You could consider sharing hours with your neighbors with housekeeping services.